Gagosian Gallery is pleased to present “Detached”, an exhibition of new sculpture by Rachel Whiteread. Her title calls by name the process of abstracting or distantiating from reality that is an intrinsic part of the artistic process. Whiteread’s sculpture is predicated on casting procedures, and the traces left on the sacrificial objects and spaces from which the final inverse form is derived. She casts from everyday objects as well as from the space beneath or around furniture and architecture, using single materials such as rubber, dental plaster, and resin to record every nuance. Detached 1, Detached 2, and Detached 3 (2012) render the empty interior of a garden shed in concrete and steel. Cast from generic wooden sheds, the large-scale sculptures render negative space into solid form, and the prosaic into something fantastically disquieting. 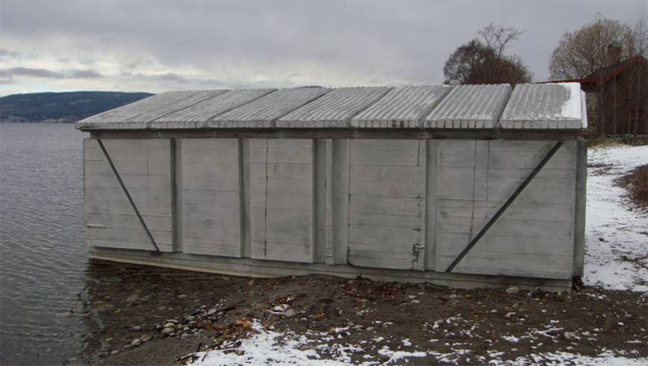 The sheds recall the monolithic architectural and site-specific works for which Whiteread first became renowned, such as Ghost (1990) and House (1993) and, most recently, the imposing concrete sculpture Boathouse (2010), installed on the water’s edge in the remote Nordic landscape of Røykenviken. Circa 1665 (I) (2012), LOOK, LOOK, LOOK (2012) and Loom (2012) belong to a new series cast from doors and windows in delicate shades of rose, eau-de-nil, or steely resin. In their watery thickness, the effects of changing light and shadow become implicit, subjective dimensions as the sculptures glow with absorbed and reflected light. Propped against or affixed to walls to mimic the serviceable object, the uncanny imitations – detached from their usual function – become repositories of memory and meaning, containing palpable traces of their individual pasts. Referring to large-scale, serial resin works such as Untitled (Floor) (1994) and One Hundred Spaces (1995), their translucent bulk at once objectifies and negates the minute detail and incident of otherwise invisible amplitudes. 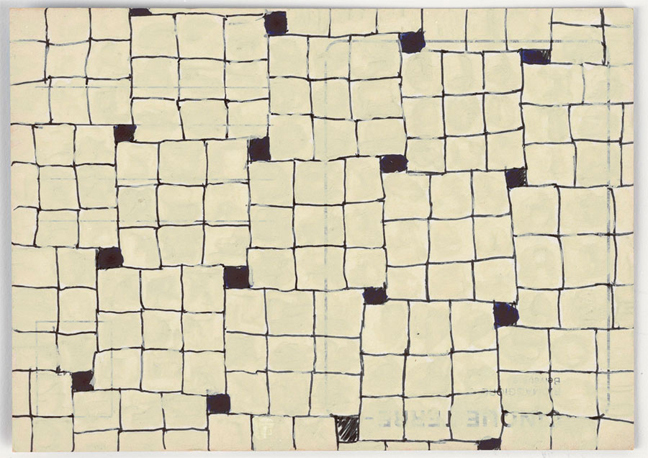 Whiteread’s works on paper reveal the intention of the artist’s hand rather than the found histories of the sculptural work. Untitled (Amber) (2012) and Untitled (Green) (2012) are diminutive cardboard constructions mounted on graphite-marked notepaper, painted with silver leaf to form tiny, imperfect monuments complete with celluloid “windows” that refer to the resin sculptures. Similarly, the “mixografia” prints Squashed (2010) are richly textured renderings of found crushed tin cans. These organic constructions also reflect Whiteread’s preoccupations – presence and void, the textures of life and history, and the traces of human ubiquity. In three vitrines entitled Some are abject objects (I, II, III) (2013) found objects, sometimes extremely humble, are coupled with small casts and maquettes to provide a glimpse of her inspirations and studio processes.